At a time when social values have changed, some things have remained and are reminiscent of spiritual survival, the arts, traditions and religious life. 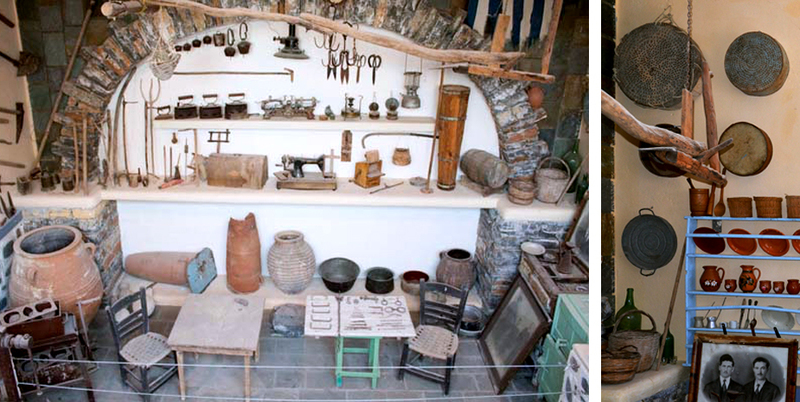 Thus, the Folklore Museum of Koufonisi, opens the doors to nostalgia, arousing sentiment for the island’s past. It transcribes society, matter, popular creations and art. You will discover elements of pious life and daily habits through the items on display including heirlooms of the island’s inhabitants. It was created and founded by the President of Koufonisi, Antonios Kovaios. Inhabitants and friends of the island contributed to its realization and it was officially inaugurated in June 2011. It is located at Sternes, next to the Church of St. George and it’s open daily to the public.